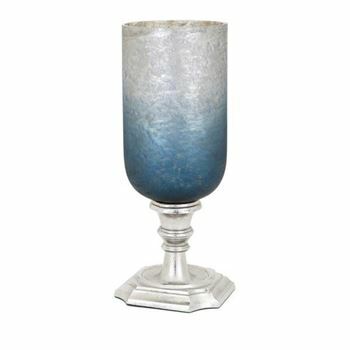 This large glass and aluminum hurricane lamp in rich blue and reflective silver will brighten up your decor. This large glass and aluminum hurricane lamp in rich blue and reflective silver will brighten up your decor. Can hold a candle.